James L. Gole received the B.S. degree in chemistry from the University of California, Santa Barbara, where he was an NSF undergraduate research fellow inn 1967. He received the Ph.D. degree from Rice University. Houston, TX, in 1971, where he was a Phillips Petroleum Research Fellow. He was an NSF postdoctoral fellow at Columbia University, NY, from 1971 to 1973. 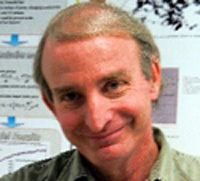 He joined the Department of Chemistry, Massachusetts Institute of Technology, Cambridge, in 1973, and in 1977 moved to the School of Chemistry of the Georgia Institute of Technology, Atlanta, where he became a professor of Chemistry in 1981. In 1983, he joined the School of Physics, GIT, where he is currently a professor of Physics. In 2002, he became a joint professor in Mechanical Engineering. He is a fellow of the American Physical Society and AAAS. He is interested in high temperature materials nanosythesis, chemical physics of surfaces, development of porous silicon structures for hybrid nano-Micro sensors and nanostructure enabled photocatalytic reactions, nano and hybrid nano-micro battery development, nanostructured directed sensing and the IHSAB principle.